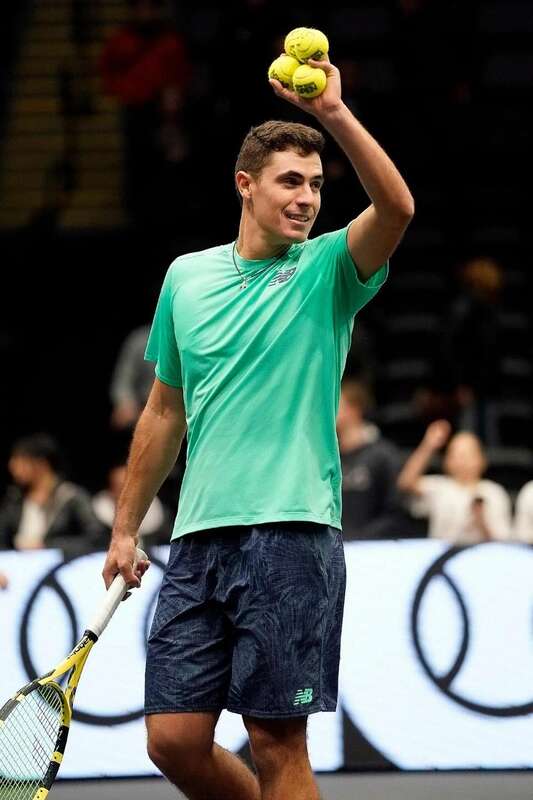 Scenes from qualifying rounds at the New York Open tennis tournament at the NYCB Live's Nassau Coliseum on Sunday, Feb. 10, 2019. 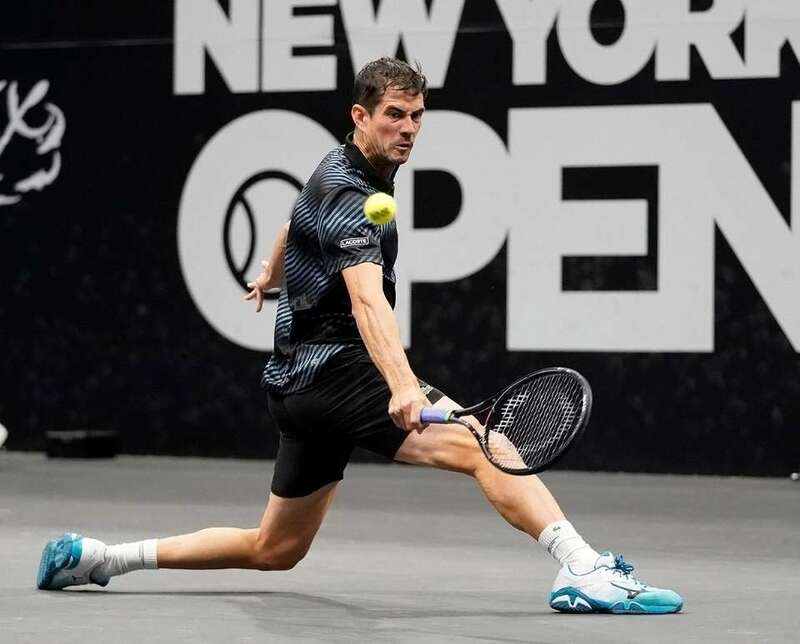 Guillermo Garcia-Lopez stretches for the backhand return against John Millman in their men's singles match during Day 4 session of the NY Open Tennis Tournament at the NYCB Live Nassau Coliseum on Thursday, Feb. 14, 2019. 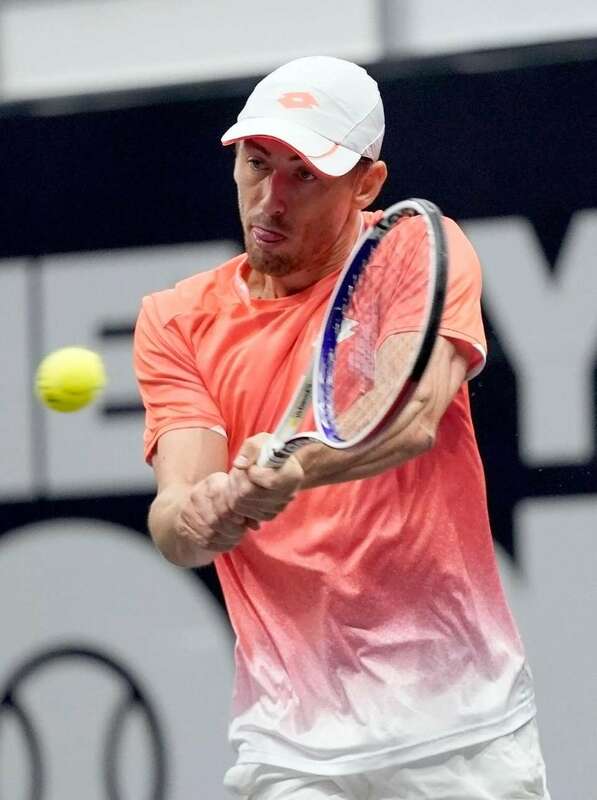 John Millman with the backhand return against Guillermo Garcia-Lopez in their men's singles match during Day 4 session of the NY Open Tennis Tournament at the NYCB Live Nassau Coliseum on Thursday, Feb. 14, 2019. 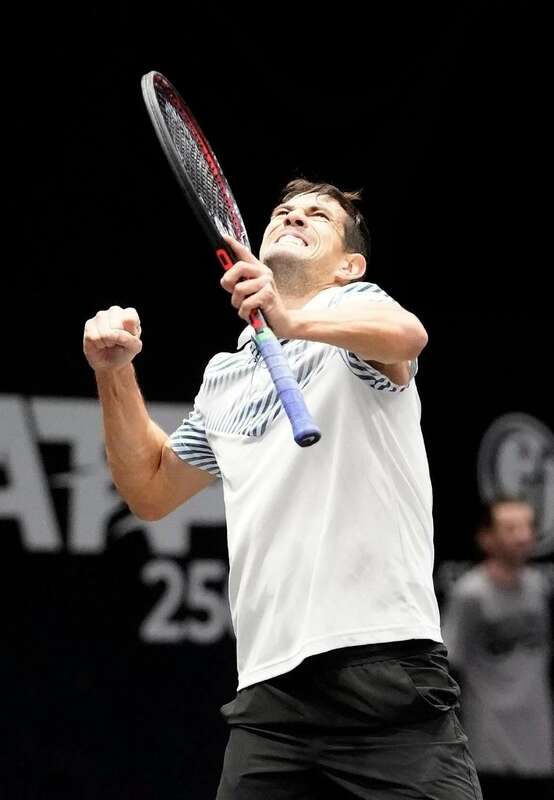 Guillermo Garcia-Lopez reacts to his three set victory over John Millman in their men's singles match during Day 4 session of the NY Open Tennis Tournament at the NYCB Live Nassau Coliseum on Thursday, Feb. 14, 2019. 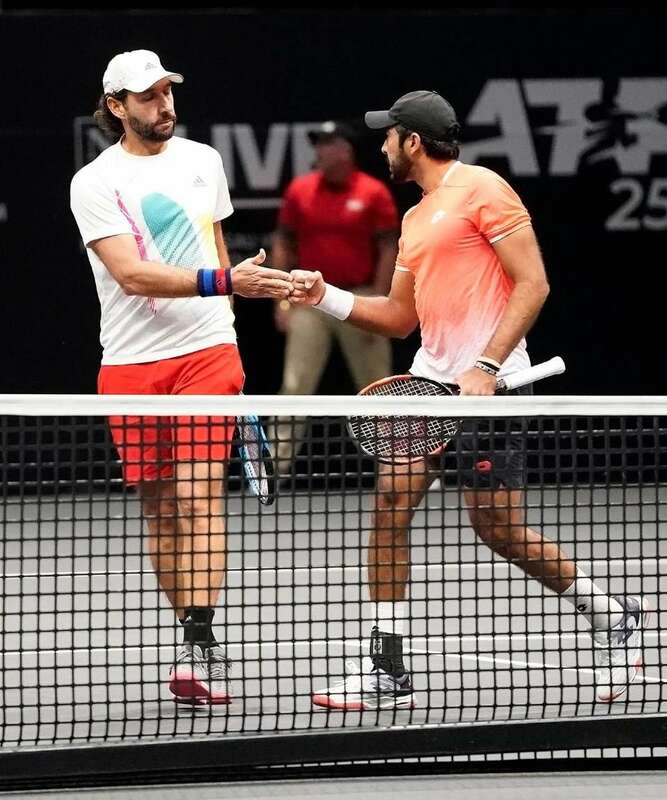 Santiago Gonzalez (l) and Aisam-Ul-Haq Qureshi celebrate a point in their doubles match against Luke Bambridge and Jonny O'Mara during Day 4 session of the NY Open Tennis Tournament at the NYCB Live Nassau Coliseum on Thursday, Feb. 14, 2019. 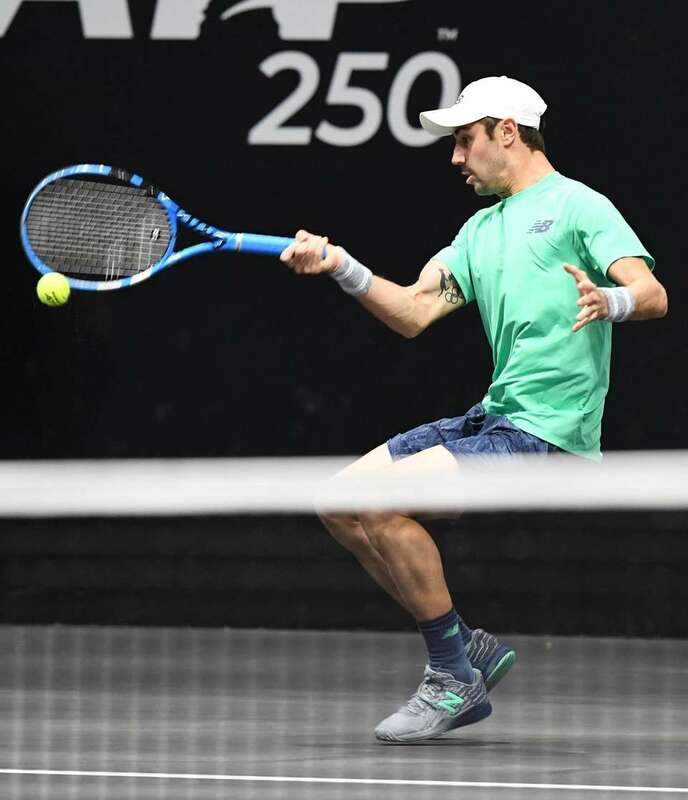 Jonny O'Mara with the forehand returnd in his doubles match against Santiago Gonzalez and Aisam-Ul-Haq Quershi during Day 4 session of the NY Open Tennis Tournament at the NYCB Live Nassau Coliseum on Thursday, Feb. 14, 2019. 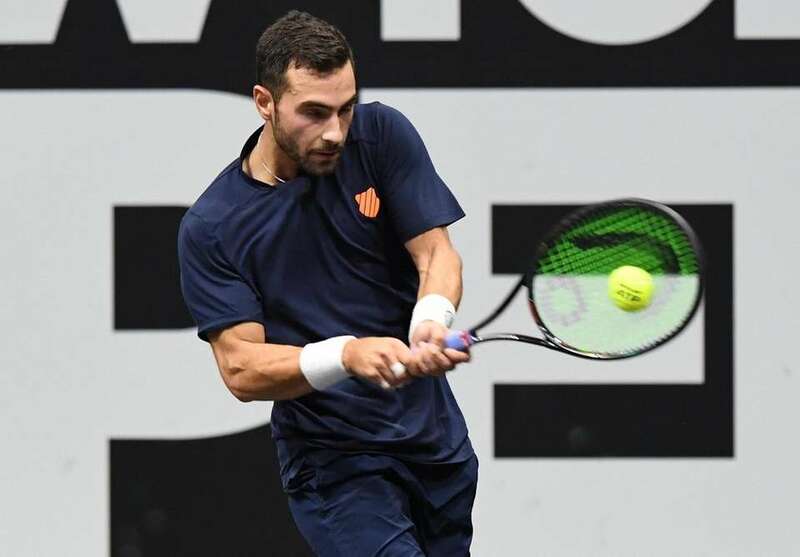 Santiago Gonzalez (l) with the backhand return in his doubles match against Luke Bambridge and Jonny O'Mara during Day 4 session of the NY Open Tennis Tournament at the NYCB Live Nassau Coliseum on Thursday, Feb. 14, 2019. 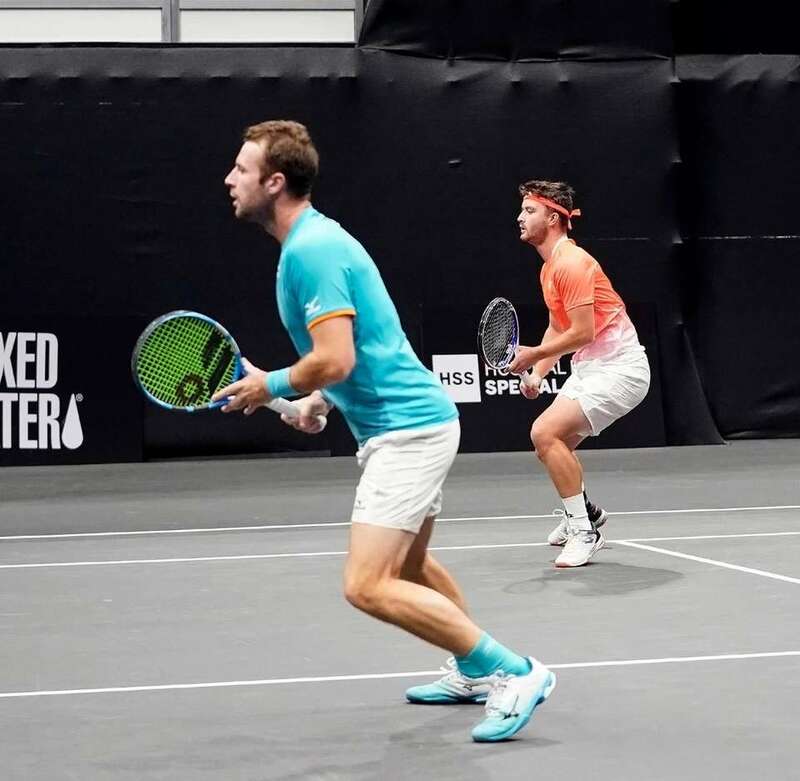 Luke Bambridge (l) and Jonny O'Mara await the serve in their doubles match against Santiago Gonzalez and Aisam-Ul-Haq Quershi during Day 4 session of the NY Open Tennis Tournament at the NYCB Live Nassau Coliseum on Thursday, Feb. 14, 2019. 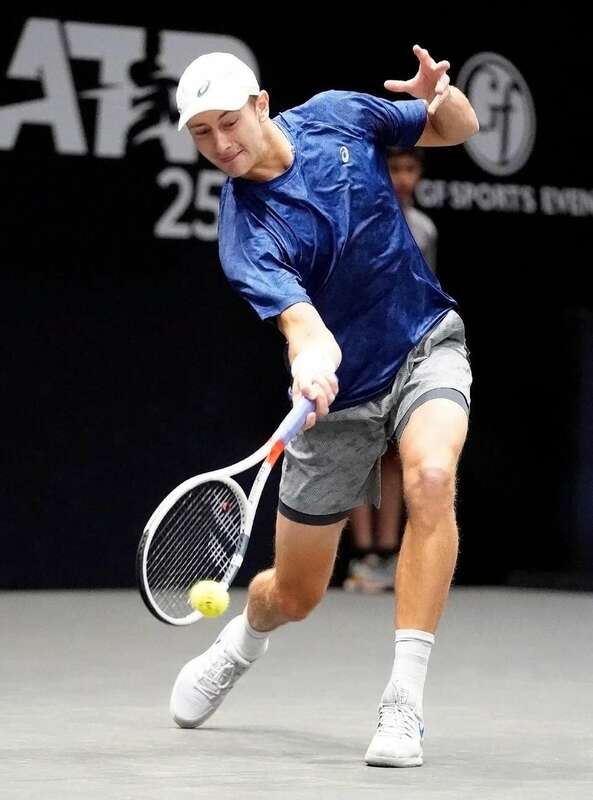 Brayden Schnur with the forehand return against Cannon Kingsley during qualifying rounds for the New York Open at the NYCB Live's Nassau Coliseum on Sunday, Feb. 10, 2019. 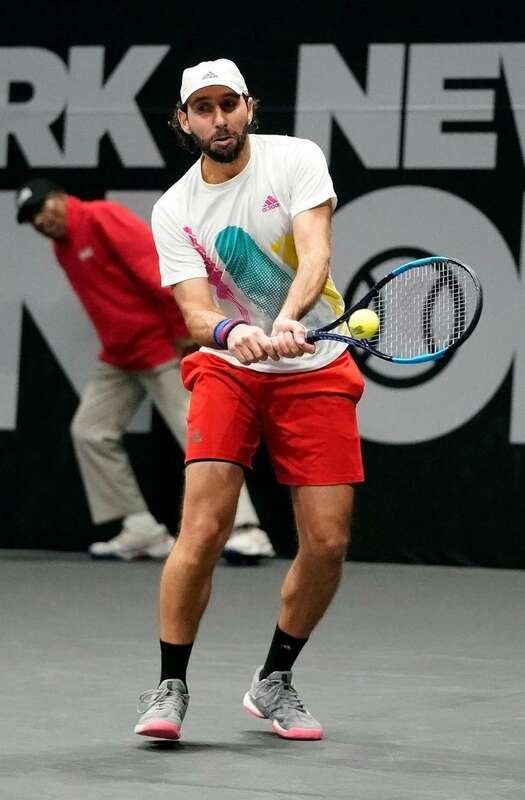 Ernesto Escobar after his three set victory against Yasutaka Uchiyama during qualifying rounds for the New York Open at the NYCB Live's Nassau Coliseum on Sunday, Feb. 10, 2019. 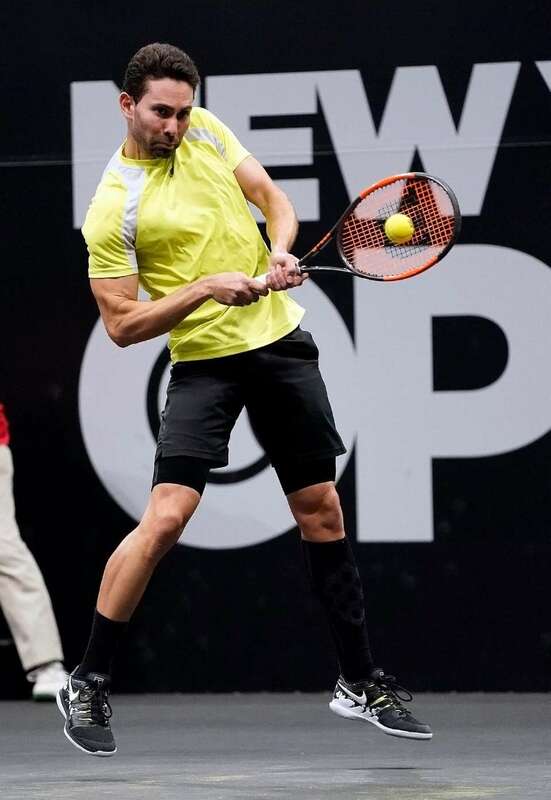 Adam El Midhawy with the backhand return against Christopher Eubanks during qualifying rounds for the New York Open at the NYCB Live's Nassau Coliseum on Sunday, Feb. 10, 2019. 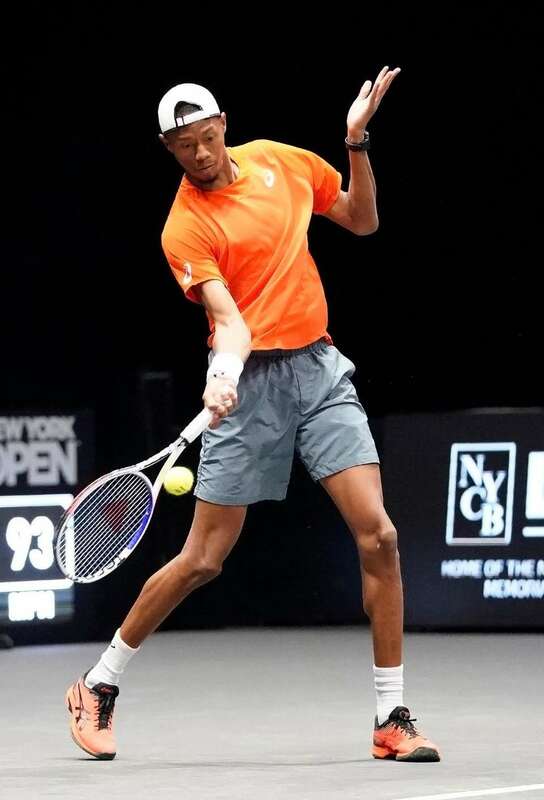 Christopher Eubanks with the forehand return against Adam El Midhawy during qualifying rounds for the New York Open at the NYCB Live's Nassau Coliseum on Sunday, Feb. 10, 2019. 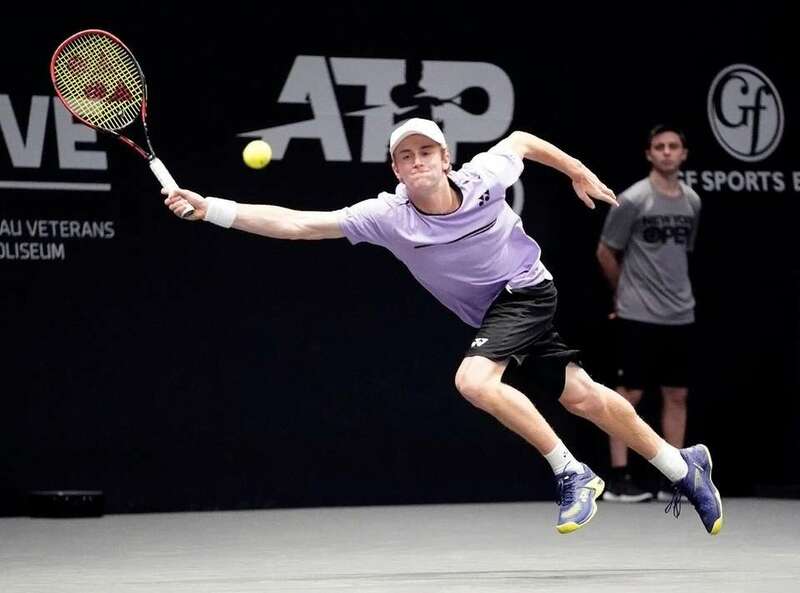 Cannon Kingsley with the forehand return against Brayden Schnur during qualifying rounds for the New York Open at the NYCB Live's Nassau Coliseum on Sunday, Feb. 10, 2019. 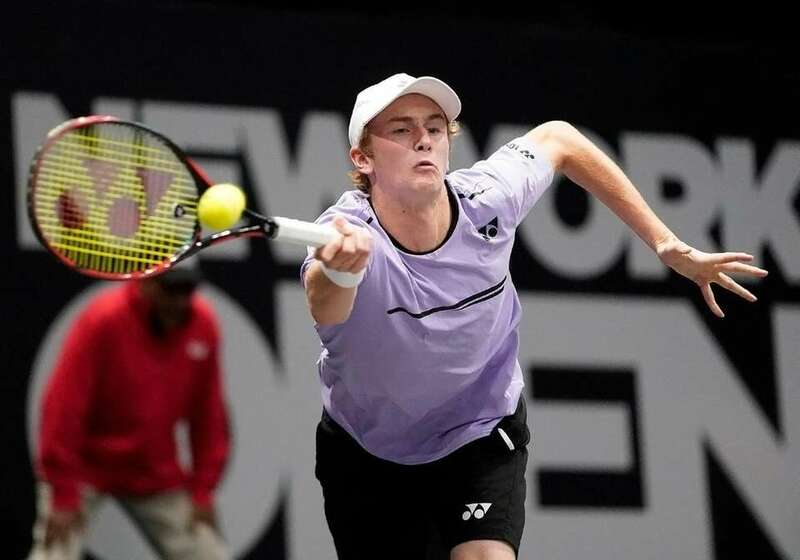 Cannon Kingsley follows through on the backhand return against Brayden Schnur during qualifying rounds for the New York Open at the NYCB Live's Nassau Coliseum on Sunday, Feb. 10, 2019. 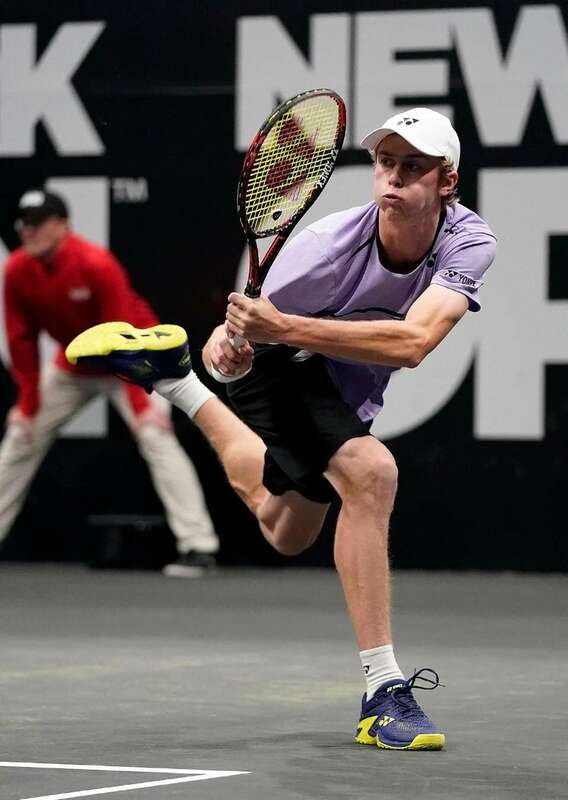 Cannon Kingsley with the running forehand return against Brayden Schnur during qualifying rounds for the New York Open at the NYCB Live's Nassau Coliseum on Sunday, Feb. 10, 2019. 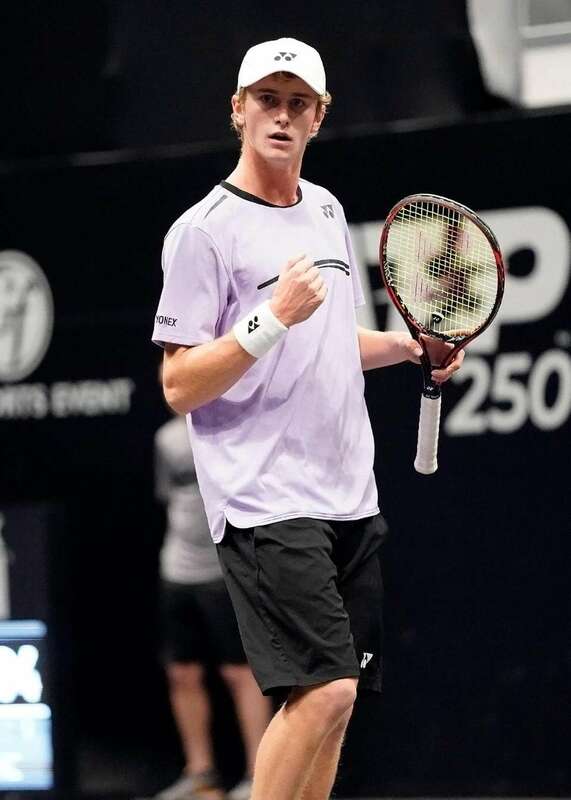 Cannon Kingsley reacts to a winner against Brayden Schnur during qualifying rounds for the New York Open at the NYCB Live's Nassau Coliseum on Sunday, Feb. 10, 2019. 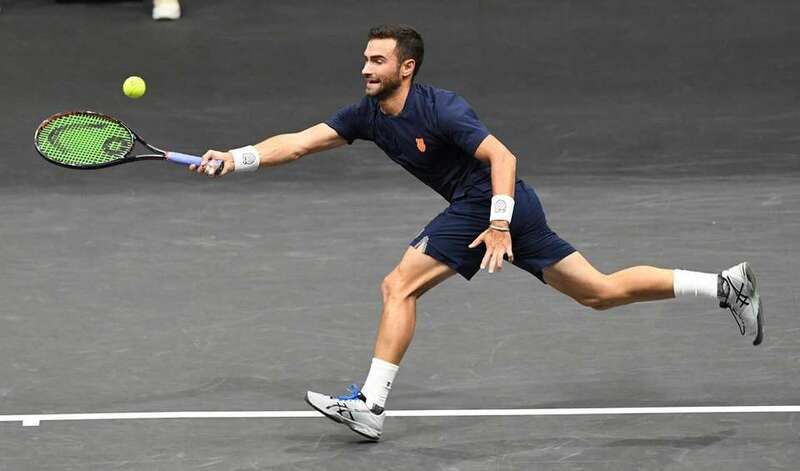 Noah Rubin returns to Jordan Thompson during the first round of the New York Open ATP World Tour Tennis Tournament at NYCB Live's Nassau Coliseum on Monday, Feb. 11, 2019. 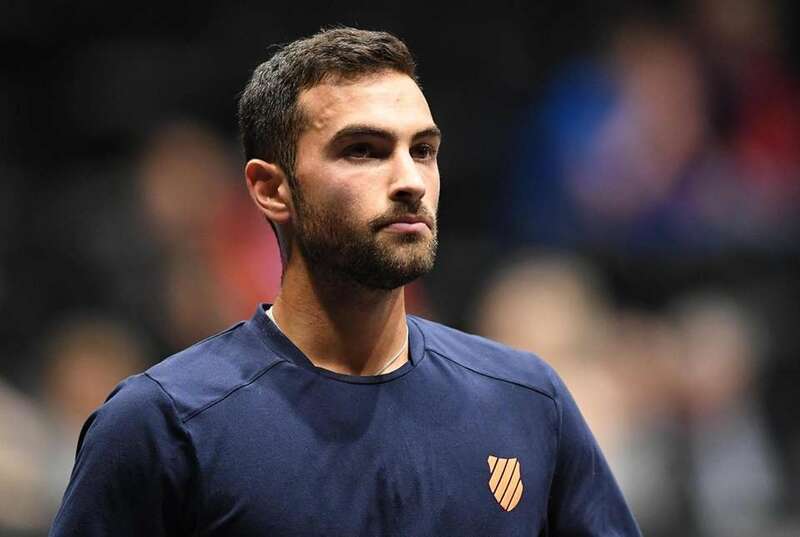 Noah Rubin looks on during his first round match against Jordan Thompson in the New York Open ATP World Tour Tennis Tournament at NYCB Live's Nassau Coliseum on Monday, Feb. 11, 2019. 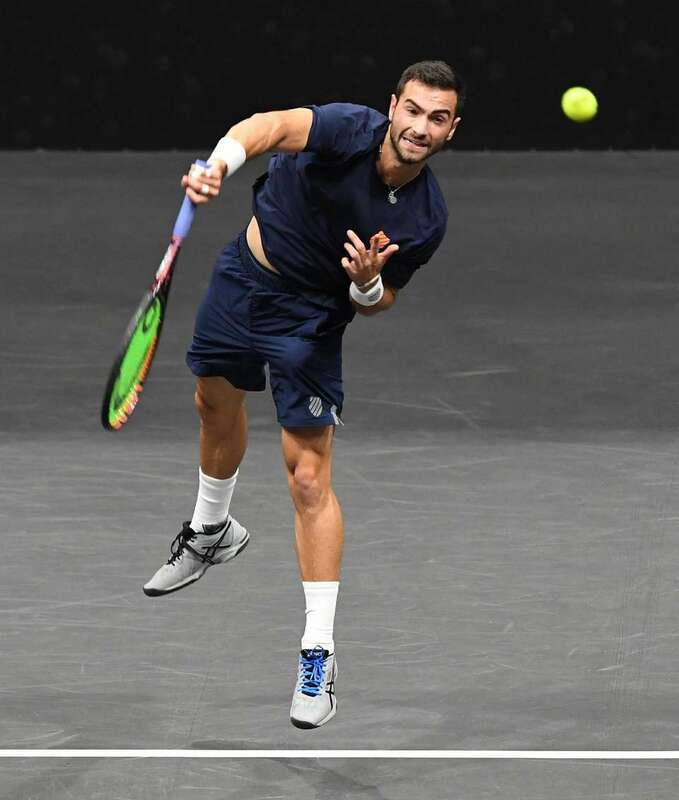 Noah Rubin serves to Jordan Thompson during the first round of the New York Open ATP World Tour Tennis Tournament at NYCB Live's Nassau Coliseum on Monday, Feb. 11, 2019. 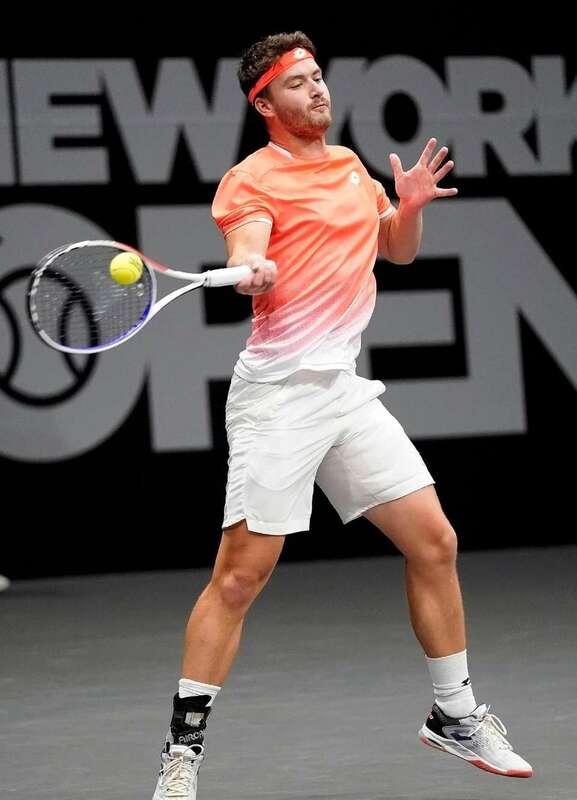 Jordan Thompson returns to Noah Rubin during the first round of the New York Open ATP World Tour Tennis Tournament at NYCB Live's Nassau Coliseum on Monday, Feb. 11, 2019.